A day shooting in the Peak District - not guns... pictures. | theraceforthecafe.com . 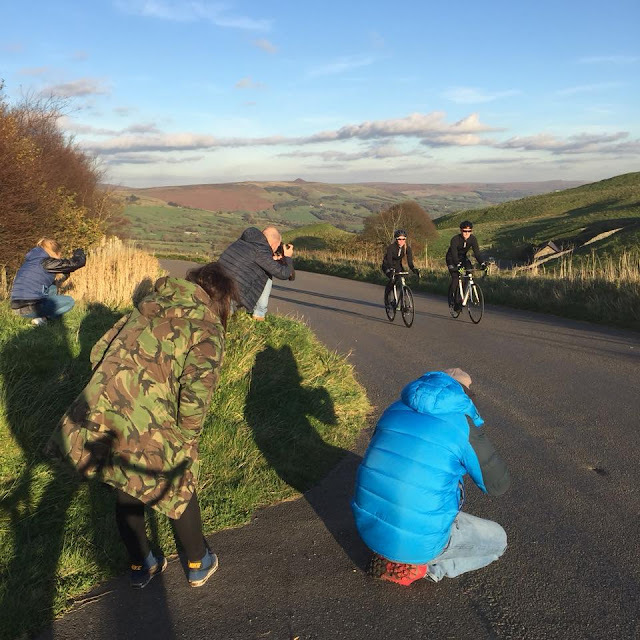 A day shooting in the Peak District - not guns... pictures. The Peak district doesn't look like this at all - its much nicer! 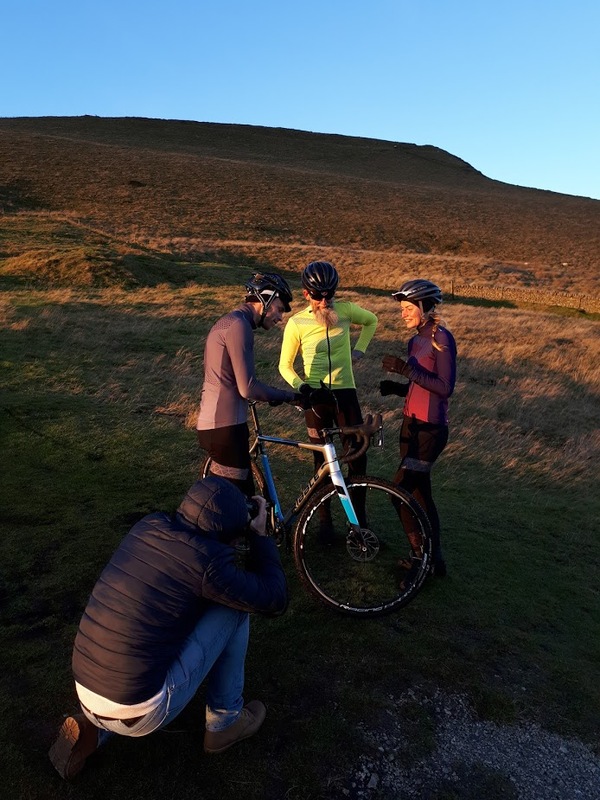 We started the day with some pictures of the soon to be released Ribble Nuovo winter clothing range and combined getting the shots with a nice cafe stop at Tilly's Tea Room in Castleton, a very civilised start. The staff at Tilly's really looked after us and we had a coffee and warm Bakewell tart (and very nice it was too) while Sean the photographer got the shots he needed. 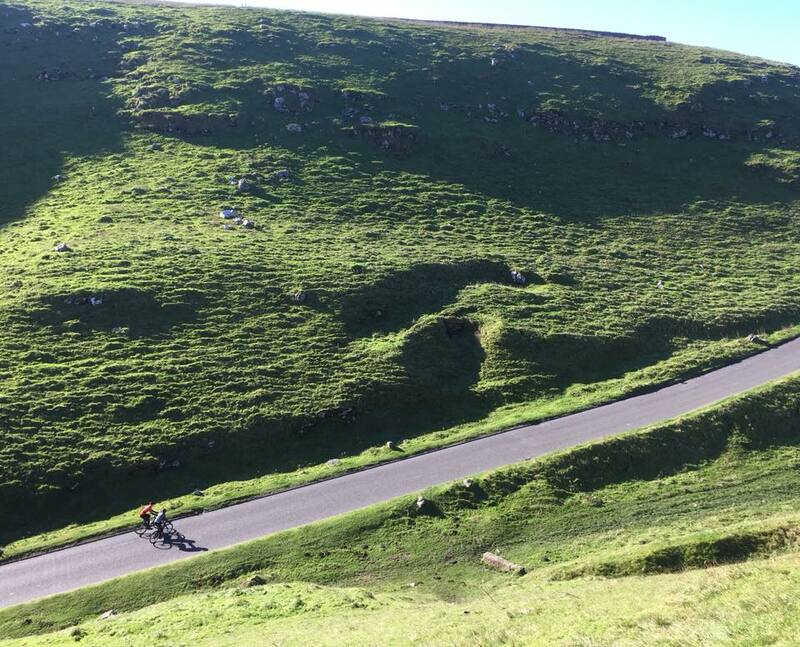 After the cafe and straight on to Winnats Pass, my first ever visit to the Peak and I can see why it is such a popular cycling destination. 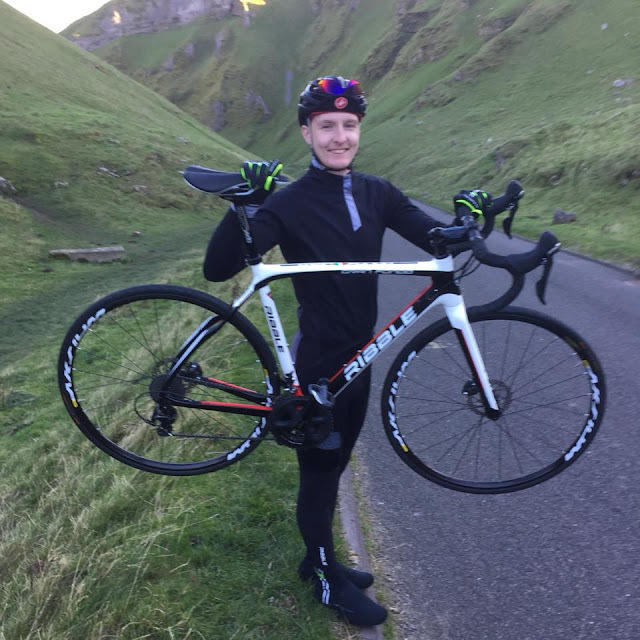 Winnats is a tough bit of road though, no question about it, the climb cuts through a limestone ravine and the average gradient is about 10% although there is a significant section near the top at 20%. The climb ascends through a sort of natural amphitheatre with steep slopes on either side, from where this picture was taken. The traffic was light when we made our first ascent at about 10.00 am but it built up as the day progressed and later it was really busy although it was half-term week so there were probably more visitors than usual in the Peak. To get the some good riding shots Sean Hardy the photographer had to perch in the back of a car while we climbed as a group. 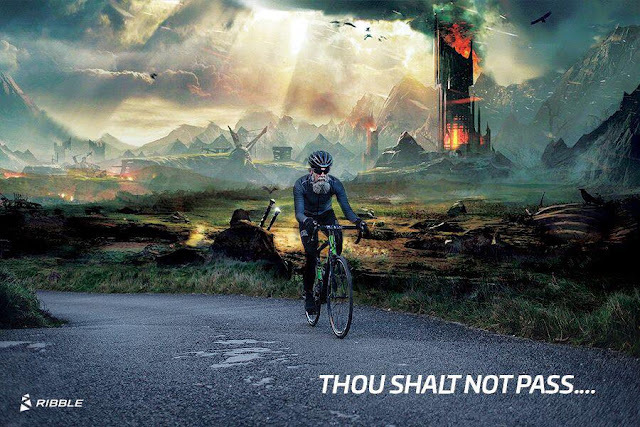 All in a days work for Sean who specialises in cycling photography. His next assignment was to be with the Movistar Team in Pamplona, Spain capturing images of their first team get together and new kit launch. 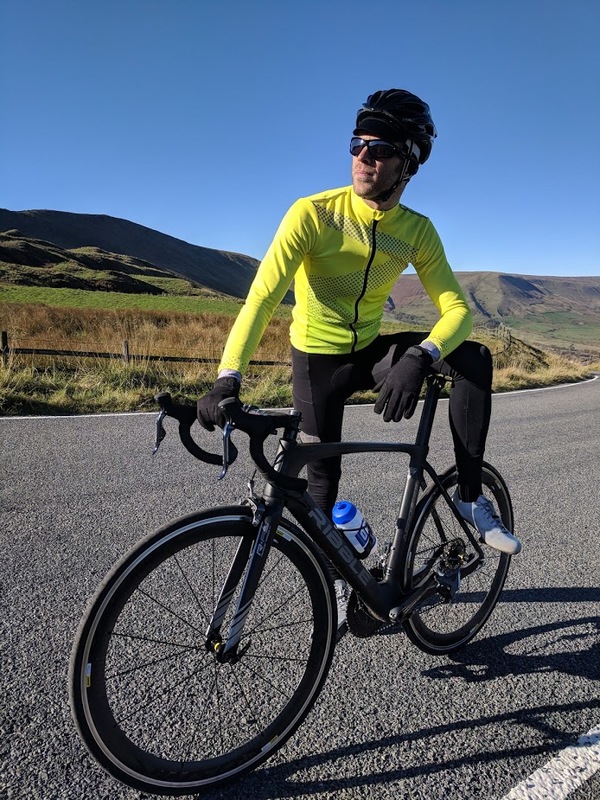 Have a scroll through Sean's website to see some of his incredible cycling images HardyCC The pictures on this post are all just phone shots captured by the team on the day, I can't wait to see what Sean's pictures are like. 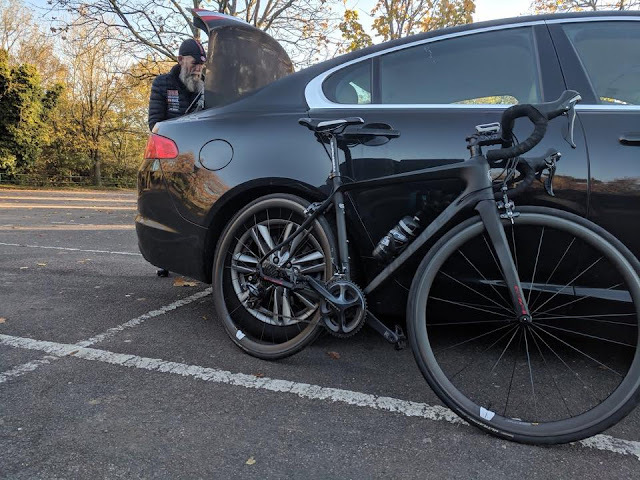 The day was a real team effort with four models/riders and a team of four from Ribble taking care of the fairly complicated logistics, organising bikes and kit and picking out the best locations. Rebecca Brejwo, Joe Davenport and the irrepresible Hope Cooper did a brilliant job and the day went without a hitch. 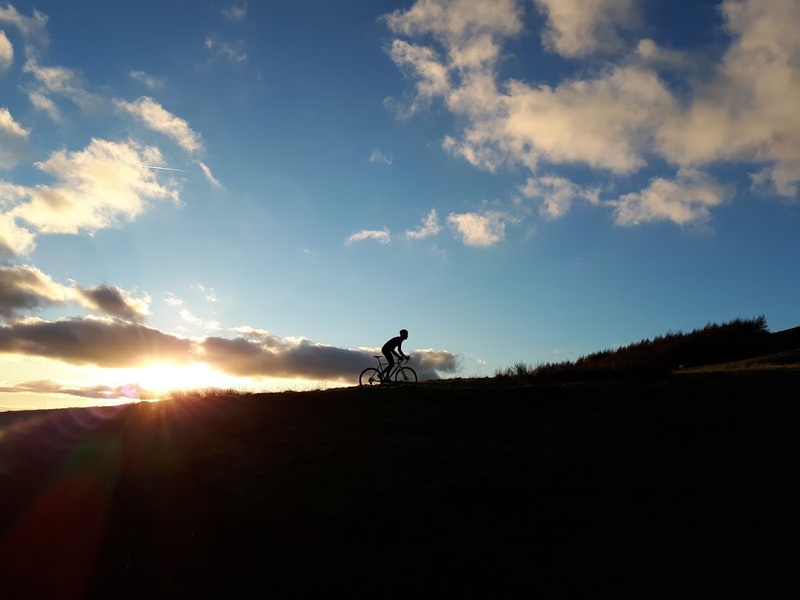 As the light started to fade we just had enough time to go off-road and capture some images of Ribble's latest cyclocross model the CX5 James is an accomplished cyclocross rider and really put the bike through its paces. Above James explains to Athena and I the key features on the CX5 along with some of the finer points of cyclocross riding technique while Sean captures some more pictures focussing on the soon to be released Ribble Nuovo winter clothing range. One of the final phone shots of the day is of James skillfully ascending near Mam Tor on the CX5 See the full bike here It was quite a long day as we didn' finish shooting until 7.15 (in the pub The Rambler Inn at Edale - nice) but what a brilliant day out it was, everyone got stuck in and we all got on really well and as someone commented as we parted to go home there hadn't been a single moan from anyone all day. 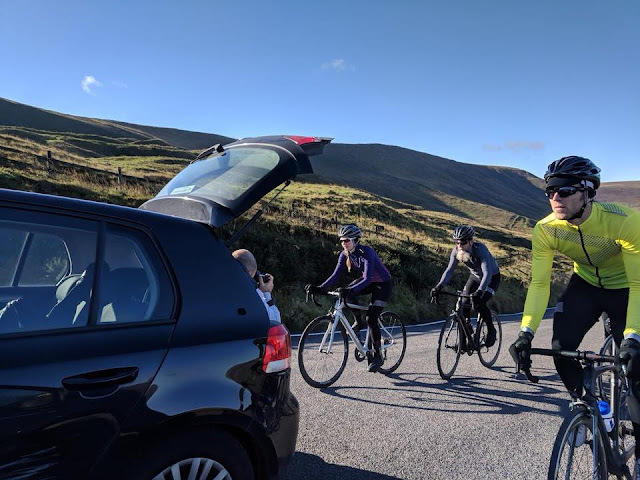 Having said that we had spent a beautiful day in the Peak District having a laugh with a great bunch of people riding nice bikes and wearing nice kit - what's not to like?